In A Step Towards Falling, Cammie McGovern tells a poignant, compelling story of not judging people on appearances and knowing how to fix the things you've broken. Emily has always been the kind of girl who tries to do the right thing - until one night when she does the worst thing possible. She sees Belinda, a classmate with developmental disabilities, being attacked. Inexplicably, she does nothing at all. Belinda, however, manages to save herself. 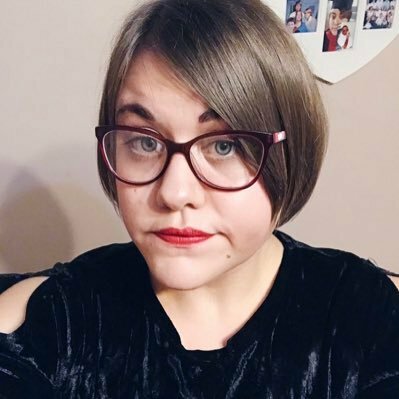 When their high school finds out what happened, Emily and Lucas, a football player who was also there that night, are required to perform community service at a centre for disabled people. Soon, Lucas and Emily begin to feel like maybe they're starting to make a real difference. Like they would be able to do the right thing if they could do that night all over again. But can they do anything that will actually help the one person they hurt the most? 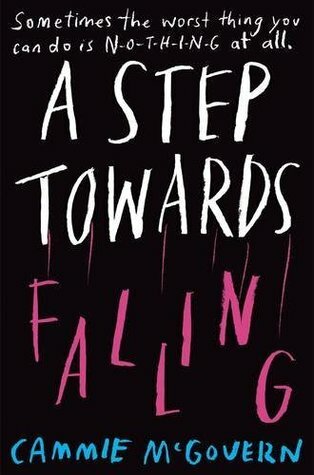 I have always wanted to read a book by Cammie McGovern after hearing a few good things about her writing, so when the chance came for me to read A Step Towards Falling by the lady herself, I was rather looking forward to delving in. I went into the book not knowing what to expect which was what I wanted and I was rather surprised. Emily is a high schooler who always tries to do the right thing, that is until one night at a high school football game where she sees a girl, Belinda, a classmate with disabilities being attacked and does nothing at all to help. Because of this Emily, and Lucas a football player who also saw the attack and did nothing to stop it have to help out at a community centre for young adults with disabilities. With every class they go to they both realise that just because you have a disability doesn't mean you should be treated any differently. Both Emily and Lucas realise they need to make a change to these people and to Belinda, to make up for their past mistakes. I'll admit I'd never read a book about people with disabilites before so I wasn't really sure what to expect. However, this book and it's story really did touch me and had me tearing up at some parts. It really does make you think about what life is like for those who are different to us and how they go about their days. I loved the switch of points of view between Emily and Belinda and I really enjoyed seeing the story through the eyes of two people who are completely different but somehow the same. The story does deal with some sensitive issues such as sexual assault, bullying, love, friendship and family. All of which are dealt with in an appropriate manner. None of them are glamorised, and it is pretty realistic as the things mentioned do happy on a daily basis in real life. There is a little bit of romance within the story, but if I'm honest I don't think it needed to be there. It was pretty obvious who was going to end up with who and I feel that it was just there to bulk the story up somehow. Emily was a character who I found it hard to warm up to at the start. I did find her to be slightly rude even though you could tell that she didn't mean to be. However, as I got further into the story I did start to like her somewhat. I could tell that she was becoming more aware about how she had been and how she wanted to be. Belinda, oh I loved her! I found her character to be really interesting and at times really sweet. Her love for her mum and nan was adorable and her obsession with Pride and Prejudice should've been weird, but I found it to be her escapism. She is such a strong, brave character who is proof that you shouldn't let anything get you down. As the story isn't written from Lucas's point of view you don't really get to learn much about him, however, he is certainly the definition of 'never judge a book by it's cover'. At the start you thought he would just be another one dimensional jock. But soon you realise that that is definitely not the case. Overall I really enjoyed A Step Towards Falling. It was a book that really got me thinking and made me realise that everyone deserves some happiness no matter what. When I finished it I got this warm fuzzy feeling inside as it gave me hope. Hope for anyone who has ever been told they can't do something. This book is perfect for learning how to change how you see and treat the people around you. 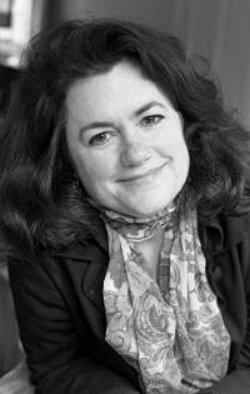 Cammie McGovern is the author of the much-acclaimed YA novel Say What You Will., A Step Toward Falling and Just My Luck. She has also written three adult novels, The Art of Seeing, Eye Contact, and Neighborhood Watch and is one of the proud founder of Whole Children/Milestones, a resource centre for children and young adults with disabilities and their families. She lives in Amherst, MA, with her husband and three sons, the oldest of whom is autistic.